You invested a substantial sum of cash into your scanners, copiers and fax machines, and you want to take care of them so that they will last. A lot of customers do not realize that one of the simplest methods of protecting their investment is to plug them into a surge protector. Most people never even plug their TV or computer directly into an outlet, so why should a copier be different? If you have a higher-end piece of office equipment, then you will want to have a power conditioner. Power conditioners will reach a step beyond what surge protectors do. They even out the voltage delivered to equipment, and they will protect you from power spikes and surges. 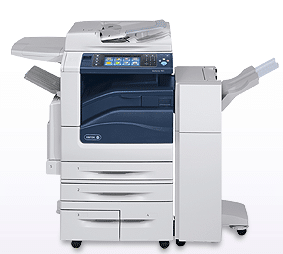 Wires within electronics, such as a copier, have been designed to handle a certain level of voltage. After that, the excess will turn into heat, which can damage the wiring. Over time, that will lead to a burnt out device. If you want to protect your copier from the fluctuations in voltage, which are common at the office, then a power conditioner will increase the lifespan, and many times, it will reduce the number of service calls.